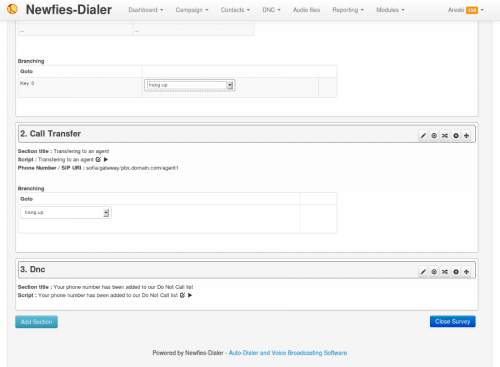 Less than a month after our release of Newfies-Dialer v2.0, we have added one of the most popular requests; Live-call transfer, giving the ability to run Press One Campaigns. Live Call Transfers allow you to create a telephony application such as “To talk to an agent, press one”. The call will then be bridged to an agent or queue on a remote PBX. Call Conferencing, to automatically dial contacts and put them into a conference. Tested at 1 million calls in less than 5 hours. AMD (Answering Machine Detection) module. 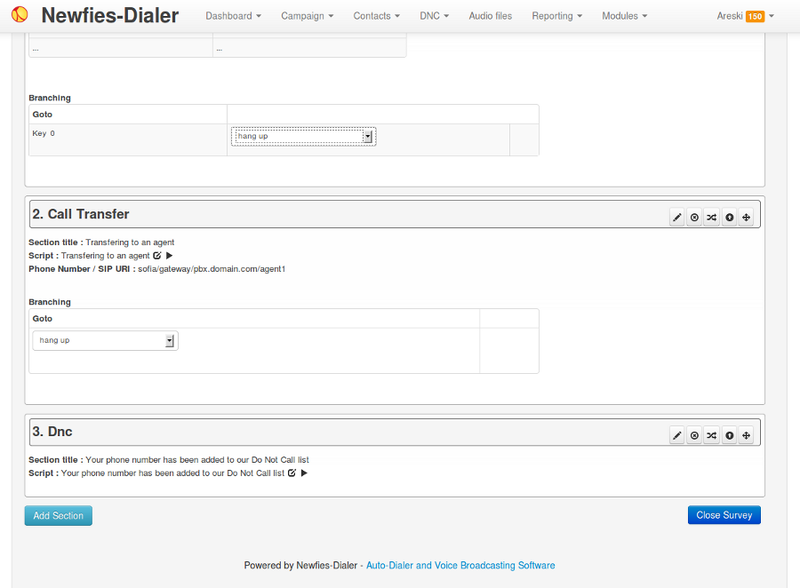 Press-one campaigns with Live-Call Transfer feature. Flexible survey and IVR editor. Professional installation, training and support. Any telecom company wanting to provide multi-tenant voice and SMS broadcast facilities to their customers, a business that needs to broadcast marketing, emergency and informational messages to their contacts or real time live transfers lead generation, may wish to consider Newfies-Dialer. Please contact us for more details.